Hey everyone! 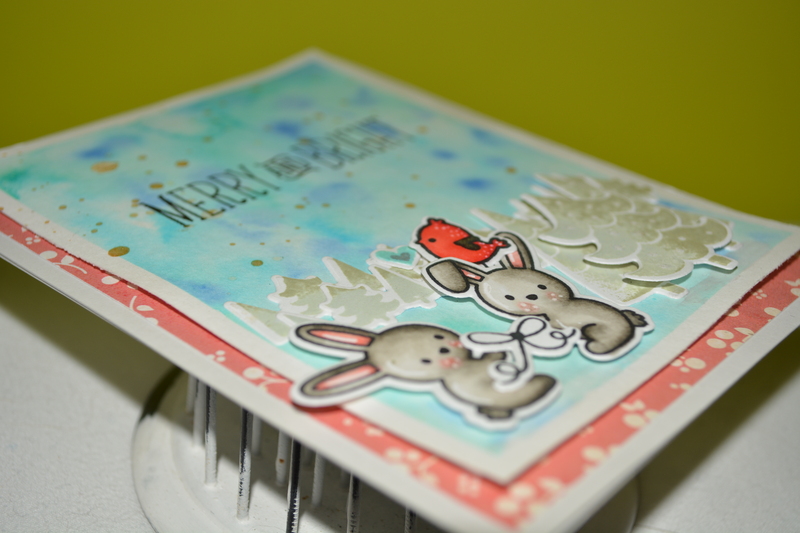 Did you see Jani’s card yesterday (and the file that was in it) if you didn’t you should really go check it out! So I am continuing with my breaking of the using digital files thing for the month, I am so in love with this stamp set that I am still using it! 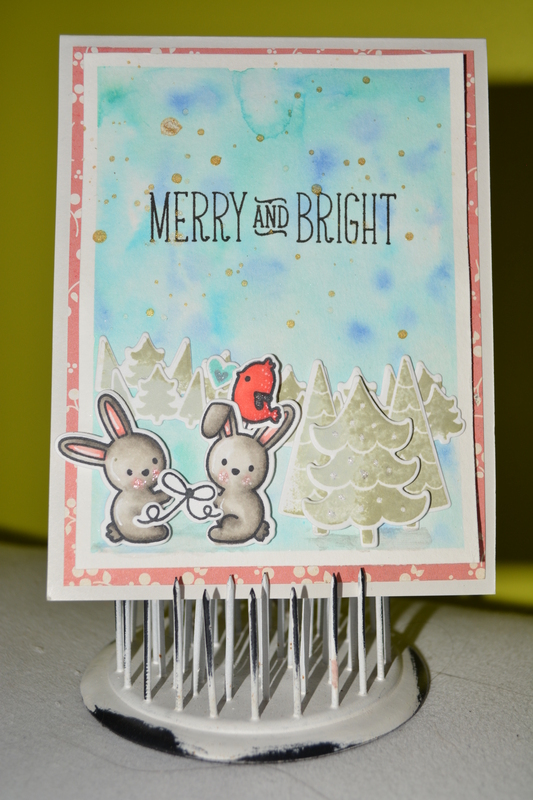 So again this is using the Snow Day stamps and dies from Lawn Fawn. 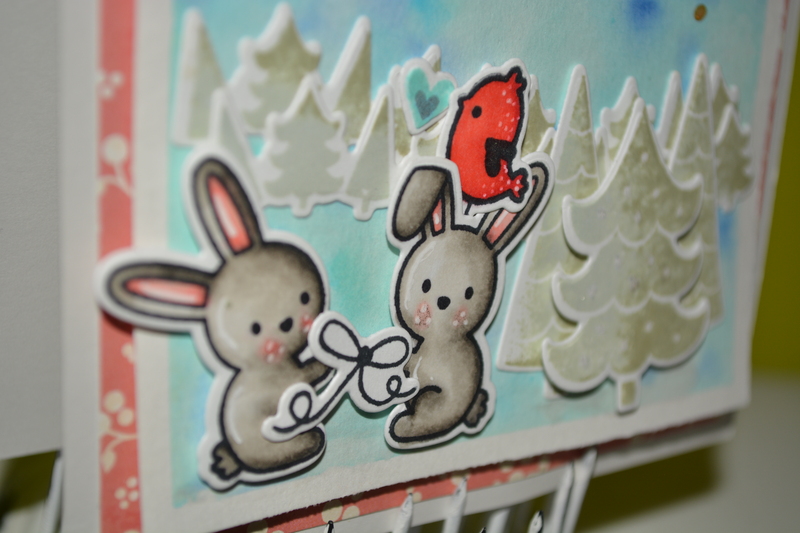 So I stamped 2 of the cute bunnies and coloured them with copics (W00, W01, W03, W05, W07, R20, R22), and the little bird (R22, R24, R27, R29). I then stamped the trees using Soft Leaf ink from Hero Arts, and Olive ink from Creative Memories, and the bow is stamped in Memento Tuxedo Black. love your background!!! Cute card!